• Do you need definitive Car Sharing market data? • Succinct Car Sharing market analysis? The Car Sharing market from 2019-2029 will drive a major transformative effect in the way people use vehicles. Visiongain assesses that the Car Sharing market will reach $2.4bn in 2019. There will be exponential growth in the sales and utilisation of Car Sharing and its technology. During this period, the Peer-to-peer model will be one of the fastest growing segments of the Car Sharing market. This brand-new in-depth Car Sharing Market Report 2019-2029 describes trends in the market both quantitatively and qualitatively. 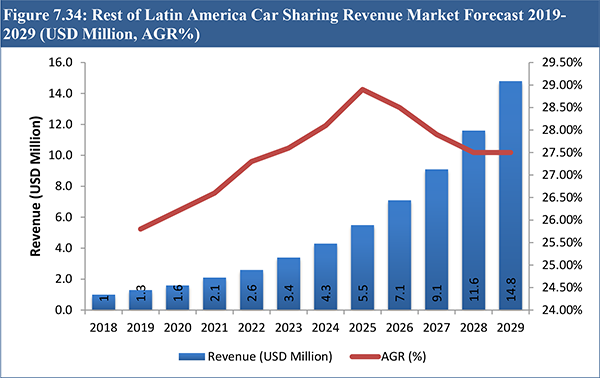 In recent years, this global Car Sharing market has undergone increasing investment, as the importance of mobility is surging in both developed and developing nations. • What does the future hold for the Car Sharing industry? 1.9 How This Report Delivers? 1.12 How is the report delivered? 2.1 What is Car Sharing? 2.1.6 Is ‘Uber’ a Carsharing Service? Chailease Auto Rental Co., Ltd.